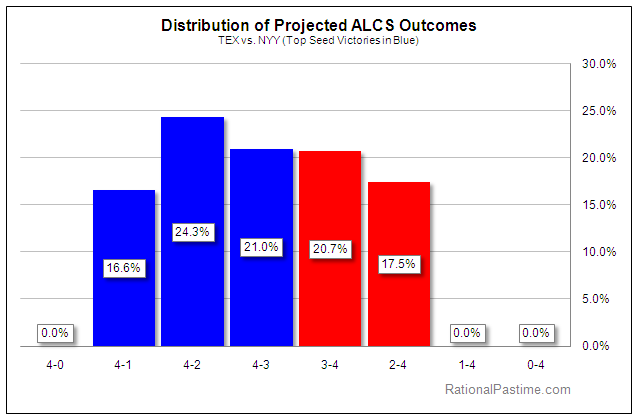 The Texas Rangers jumped out to their first probabilistic lead in the postseason simulator, while the Yanks trail for the first time. The Phils and Giants were off, but improved nonetheless as the prospect of facing the Yankees in the Fall Classic diminishes. 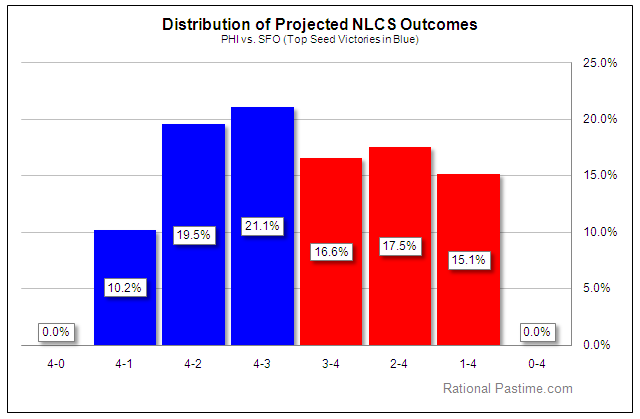 LCS outcome distributions after the jump.